Comment: Gently used. Expect delivery in 20 days. In this short text, a distinguished philosopher turns his attention to one of the oldest and most fundamental philosophical problems of all: How it is that we are able to sort and classify different things as being of the same natural class? Professor Armstrong carefully sets out six major theories?ancient, modern, and contemporary?and assesses the strengths and weaknesses of each. Recognizing that there are no final victories or defeats in metaphysics, Armstrong nonetheless defends a traditional account of universals as the most satisfactory theory we have.This study is written for advanced students, but as Armstrong goes considerably beyond his earlier work on this topic, it will interest professional scholars as well. Carefully plotted and clearly written, Universals is both a paradigm of exposition and a case study on the value of careful analysis of fundamental issues in philosophy. 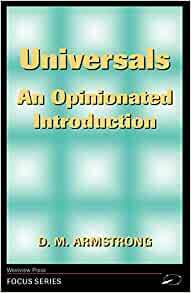 Start reading Universals: An Opinionated Introduction (Focus Series) on your Kindle in under a minute. In this short text, a distinguished philosopher turns his attention to one of the oldest and most fundamental philosophical problems of all: How it is that we are able to sort and classify different things as being of the same natural class? Professor Armstrong carefully sets out six major theoriesancient, modern, and contemporaryand assesses the strengths and weaknesses of each. Recognizing that there are no final victories or defeats in metaphysics, Armstrong nonetheless defends a traditional account of universals as the most satisfactory theory we have. This study is written for advanced students, but as Armstrong goes considerably beyond his earlier work on this topic, it will interest professional scholars as well. Carefully plotted and clearly written, Universals is both a paradigm of exposition and a case study on the value of careful analysis of fundamental issues in philosophy. In this short text, a distinguished philosopher turns his attention to one of the oldest and most fundamental philosophical problems of all: How it is that we are able to sort and classify different things as being of the same natural class. 5.0 out of 5 starsStandard of metaphysics. Known to be a great book. The problem of universals is one of the most longstanding philosophical problems. The problem is about what makes a class of tokens mark off a type. For example, the red apple and the red fire engine being both red are of the same type. But does this sameness involve a strict identity? Is there some one thing involved in the apple and the fire engine that makes them both red? Realists about universals answer that the very same thing is present in the cases of tokens of the same type; for example, the apple and the fire engine have an identical property of redness in common. Nominalists reject such a postulation as uneconomical and problematic; if the very same redness is present in the apple and the fire engine, then the same thing is at two possibly very distant places at once! In place of such universals, Nominalists introduce such things as primitive natural classes, primitive resemblances, and tropes in order to answer the problem. David Armstrong is one of the most influential philosophers in the debate about universals, and in this book he introduces the problem of universals and covers at least six proposed solutions. Each solution is presented and evaluated carefully. As the subtitle suggests the introduction is opinionated, and Armstrong ultimately favours a moderate form of Realism. However, he also candidly presents the advantages of alternative solutions and the disadvantages of his own. The related topic of the nature of particulars is also covered, and Armstrong introduces the proposal that particular things are mere bundles of properties and the rival proposal that they are substances instantiating properties. Crucial notions such as those of thin and thick particulars and states of affairs are also explained. The book is well organized, and generally written clearly. It is not long, but is nevertheless comprehensive without sacrificing depth. Helpful references and recommended reading for each proposal are included. Students unfamiliar with analytic philosophy might find it quite difficult because there is some terminology that is not explained, and the discussion is quick at some points. The book is intended primarily for advanced undergraduate and graduate students in philosophy, but may also interest professional philosophers. The book is recommended especially for advanced students interested in the problem of universals in particular. For a more general introduction to metaphysics, I recommend Jonathan Lowe's "A Survey of Metaphysics". Armstrong's book is what it promises: an opinionated introduction to the problem of universals, which in the most general terms is the problem of how to understand philosophically the phenomenon of similarity or resemblance between different things. 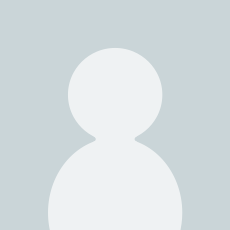 Resemblance between things is the basis of classification and generalization, and it is presumably by noticing similarities among numerically distinct things that we form many abstract concepts and general terms. A realist about universals holds that similar things get to be similar by having some entity in common--repeatable features that are present identically in all of them, either as a constituent of the particular or as "instantiated" or "exemplified" by it in some mysterious way, without being in it. These repeatable features he calls "universals"--general things, as it were, to correspond to general terms, as names of particulars correspond to them. A nominalist denies that there are universals, and seeks to account for similarity without positing them. Armstrong spends most of the book comparing the relative merits of five different metaphysical accounts of similarity: natural class nominalism, resemblance nominalism, a realist "bundle theory" of particulars, a realist substance-attribute theory (his own favorite), and finally theories of tropes (that is, particular or non-repeatable properties and relations). Natural class nominalists take the notion of a "natural class", that is, a set of noticeably similar things, as primitive or undefined, and seek to account for similarity in terms of membership in a natural class. Resemblance nominalists take similarity among particulars as primitive instead, and seek to account for similarity among a class of things by way of resemblance to paradigm cases of such things. Both approaches suffer from serious defects, as Armstrong points out, not the least of which is that these are very awkward primitives to have. Next comes the extreme realist, who thinks universals are all there are, and that particulars are nothing but bundles of universals. This theory also has its share of difficulties, not the least of which is that it seems to be unable to explain what the bundling relation is. Next there is the substance-attribute realist, in which camp Armstrong belongs. Such a realist faces the problem of analyzing similarity in terms of identity of universals. Among particulars this is straightforward; the more universals they have in common, the more similar they are. But what about the universals themselves? Isn't the color red, say, more like orange than it is like green? Armstrong says he is working on this problem, but gives little indication how to solve it. Finally, there is the doctrine of tropes, that is, particular properties and relations which are in themselves simple, the doctrine I favor. The trope nominalist can readily substitute for universals equivalence classes of exactly resembling tropes. (No problems analyzing resemblance; unlike the realist, I don't think there is any hope of doing that, and trope nominalism doesn't attempt it.) These will do all the work without having the bizarre problems that beset universals, problem which Armstrong mentions but to which he does not, in my view, give fully satisfying solutions. But whether you agree or disagree, the book is well worth the time of any student of metaphysics. 5.0 out of 5 starsA lucid introduction to a neglected subject. Armstrong has devoted a good deal of attention to this topic already (see his earlier work), but in this slim volume he makes some important additions and corrections to his previous views. It is a tribute to his clarity and organizational skills that he manages to do so _while_ he is providing a highly readable introduction to this subject. For it _is_ highly readable; Armstrong has a gift for clear exposition, and his presentations of all the relevant positions are accurate and eminently fair. The reader may not agree with all of Armstrong's "opinionated" conclusions (I don't), but I don't know of a better introduction to the issues Armstrong is drawing those conclusions _about_. Another nice volume to place alongside this one is the collection _Properties_, edited by D.H. Mellor (and also available through Amazon). The two together are the equivalent of a thorough undergraduate- or beginning-graduate-level course in the theory of universals. For a more general introduction, try Michael Loux's _Metaphysics_. And, for a much-neglected attempted solution to the problem of universals, see Brand Blanshard's _Reason And Analysis_.